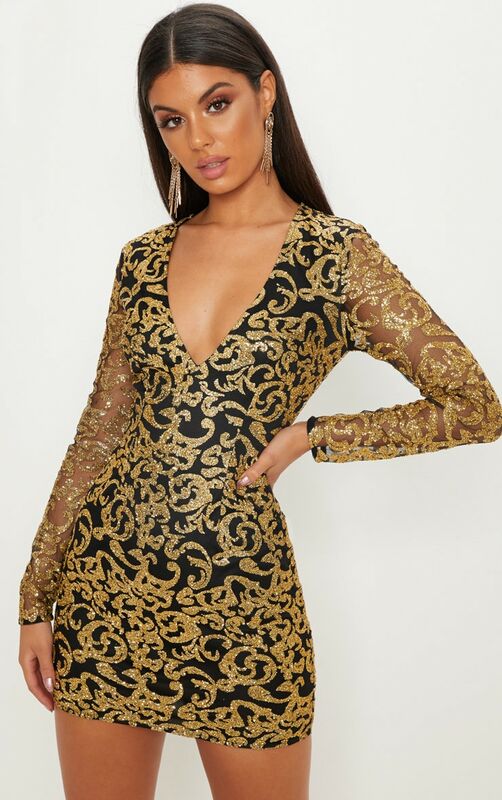 Get ready to turn heads in this oh-so-extra glitter bodycon dress. 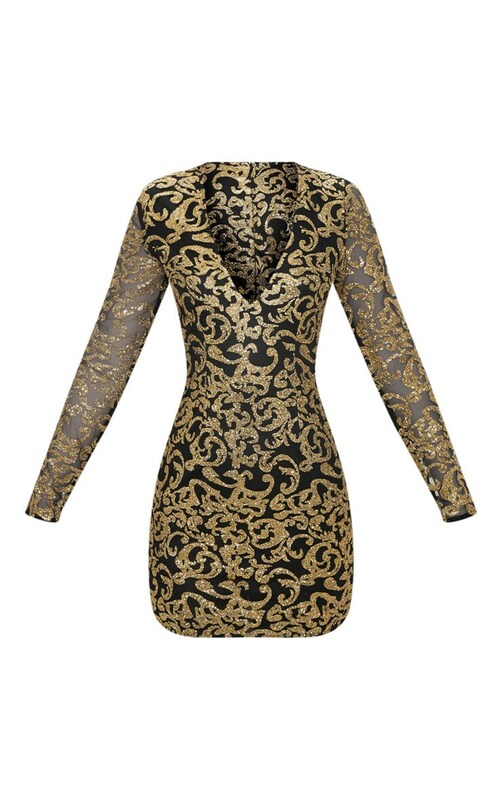 It features a plunge neckline, long sleeves, zip fastening and black and gold filigree design. Team with simple strap heels for a look that even the A list girls are repping.